In the south of the Brazilian state of Bahia, three organizations are uniting to implement an economic development project that is generating benefits for 60 farmers who live on settlements created after agrarian reform. This post was originally published at NextBillion. It is also available in Spanish and Portuguese. Participating farmers are planting palm trees in order to extract hearts of palm, which they sell to Inaceres, a leading Brazilian company in the processing and sale of that product for the domestic market. Instituto Ventura is a Brazilian organization that promotes the development of environmentally sustainable businesses and facilitates access to credit for farmers. Instituto Ventura and TechnoServe are working together to ensure that multiple stakeholders benefit from the project. The two year pilot project is creating shared value by reorienting how a Brazilian company integrates farmers from poor communities into its value chain. The pilot includes farmers from two settlements who have little or no schooling and families composed of about five people whose combined incomes barely reaches $300 a month. On average they have about 16 hectares of land, of which they can cultivate only 10. The rest is protected woodland of the Atlantic Forest, one of the most deforested ecosystems in the world. Traditionally, farmers have produced cocoa and latex from rubber trees, which they sell to intermediaries who pay low prices. Because of environmental constraints, these farmers have restrictions on the crops they can plant, and generally those permitted take more than eight years to harvest. However, planting the Bactris Gasipaes Kunth palm, which grows faster than the other crops, has become an alternative for generating income. Inaceres, a company committed to environmental protection, provides technical advisors to train the farmers directly. 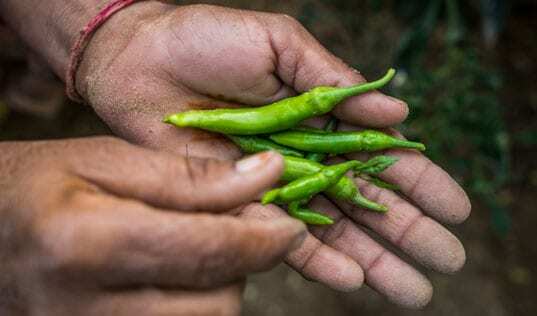 The farmers are learning to harvest in accordance with the company’s standards, and their harvests are purchased at a fair and transparent price throughout the year, a completely new commercialization model for the small farmers. Instituto Ventura provides financial resources for farmers to receive loans, something that would be impossible for most to obtain because of their small properties. And TechnoServe is responsible for coordinating and implementing the farmer trainings. “It has been really important to develop this model of shared value creation in which the private company and the community benefit. 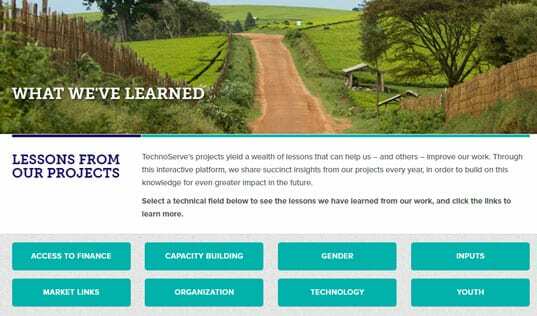 Each player has brought contributions that can improve the value chain and positively impact people’s lives,” says Deborah Aragão, project coordinator for TechnoServe in Brazil. Rachael Botelho, project manager of Instituto Ventura, notes that the farmers have a high level of satisfaction with the project and would like to see a second phase that would extend the economic benefits to their children and other relatives. “Having an anchor company, responsible for facilitating market access to small farmers, and having help from an international organization for coordination, is something that we would like to experiment with in other economic sectors,” says Botelho. Ricardo Araujo Ribeiral, director of Inaceres, says that this project is part of the growth strategy of the company, which aims to source from other farmers who provide high-quality products. He emphasizes the importance of the private sector transfering knowledge to farmers. “Inaceres drives this project because it is aware of the role that private companies have for improving their environment, and TechnoServe has played a critical role in this relationship,” he says. The palm trees will generate revenue in half the time that it would take other crops to grow, says Aragão. For the first time, the farmers are receiving technical and business advice to learn how to manage their crop while they protect the environment, she adds. “They are accessing funding and a stable and growing market in which they can sell their product at a fair and transparent price. After five years of cultivating only one hectare, each family will generate additional revenues of close to $400 per month, which will mean a huge change in their lives. The economic benefit is consistent throughout the year because production is ongoing,” Aragão says. Antonia Leite dos Santos, a small farmer, has improved her plantation. Last October she began to harvest the palm, and with the extra money that she is receiving, she is thinking of making one of her dreams a reality: remodeling her kitchen and buying a modern stove to make food for her children and grandchildren. Because of their small plots and low incomes, these farmers have found it difficult to be eligible for credit, but through Instituto Ventura they received $5,400 in loans for the establishment of each hectare of palm, with an interest rate of 6.25 percent payable in five years. Hemerson de Oliveira dos Santos had immigrated to São Paulo because in his community he was barely making enough money to feed his family. He returned, was supported by the project and is now starting to see the changes. “For the first time I learned how to plant, manage a plot of land and harvest it,” he says. “And I obtained credit.” Now he says that he is happy to be back and has settled his family close to his parents. “One of the most important things is that I have a secure buyer,” Oliveira says. After beginning his harvest in October, he started repaying his debt and the costs of constructing his new house. In the future he wants to buy a vehicle—a motorcycle, perhaps—and will increase his plantation area.